Breast cancer is the most frequently diagnosed cancer among women worldwide. Here, recombinant human lactoferrin (rhLf) expressed in Pichia pastoris was tested for its potential cytotoxic activity on a panel of six human breast cancer cell lines. The rhLf cytotoxic effect was determined via a live-cell HTS imaging assay. Also, confocal microscopy and flow cytometry protocols were employed to investigate the rhLf mode of action. The rhLf revealed an effective CC50 of 91.4 and 109.46 µg/ml on non-metastatic and metastatic MDA-MB-231 cells, with favorable selective cytotoxicity index values, 11.68 and 13.99, respectively. Moreover, rhLf displayed satisfactory SCI values on four additional cell lines, MDA-MB-468, HCC70, MCF-7 and T-47D (1.55–3.34). Also, rhLf provoked plasma membrane blebbing, chromatin condensation and cell shrinkage in MDA-MB-231 cells, being all three apoptosis-related morphological changes. Also, rhLf was able to shrink the microfilaments, forming a punctuated cytoplasmic pattern in both the MDA-MB-231 and Hs-27 cells, as visualized in confocal photomicrographs. Moreover, performing flow cytometric analysis, rhLf provoked significant phosphatidylserine externalization, cell cycle arrest in the S phase and apoptosis-induced DNA fragmentation in MDA-MB-231 cells. Hence, rhLf possesses selective cytotoxicity on breast cancer cells. Also, rhLf caused apoptosis-associated morphologic changes, disruption of F-actin cytoskeleton organization, phosphatidylserine externalization, DNA fragmentation, and arrest of the cell cycle progression on triple-negative breast cancer MDA-MB-231 cells. 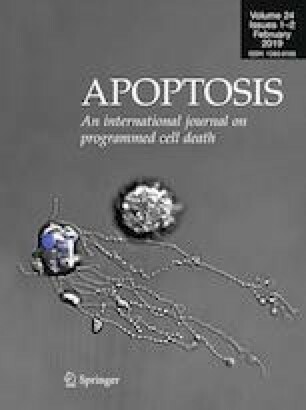 Overall results suggest that rhLf is using the apoptosis pathway as its mechanism to inflict cell death. Findings warranty further evaluation of rhLf as a potential anti-breast cancer drug option. BFIF thank the Consejo Nacional de Ciencia y Tecnología (CONACyT) for the Ph.D. studies grant. Funding for this work was supported by an internal grant (2016-2017) from the Facultad de Ciencias Químicas, the Universidad Autónoma de Chihuahua to QRC, and also, partially provided by the National Institute of General Medical Sciences-Support of Competitive Research (SCORE) grant 1SC3GM103713 to RJA. The authors thank the Cytometry, Screening and Imaging, the Biomolecule Analysis and the Genomic Analysis Core Facilities at the University of Texas at El Paso (UTEP). Those Core Facilities were supported by a Research Centers in Minority Institutions (RCMI) program grant 5G12MD007592 to the Border Biomedical Research Center (BBRC) in UTEP from the National Institute on Minority Health and Health Disparities, a component of the National Institutes of Health. The authors also thank Gladys Almodovar and Lisett Contreras (both with UTEP) for outstanding technical and cell culture expertise and to Professor Giulio Francia (with UTEP) for the generous gift of the MDA-MB-231/LM2-4 cell line.